Compare Vehicle Tracking brings all the vehicle tracking companies on the web to one place, to show all the best deals in vehicle tracking in one place. Constantly updates with the latest tracking system offers from contract fleet tracking to purchase outright GPS tracking units. We can find a tracking system suitable for your fleet size and budget, from a man in a van to an entire van fleet. 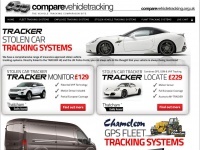 The latest telematics GPS tracking systems are here, with stolen vehicle tracking systems from Tracker, Trackstar, ..
4. PLANT TRACKING SYSTEMS /index.php?main_page=pro­duct_info&cPath=101&p..
6. Be­nefits of Tra­cking Systems /index.php?main_page=page&id=17&zenid=cdc74c3..
7. Com­mer­cial Ve­hicle Tra­cking /index.php?main_page=page&id=15&zenid=cdc74c3..
8. Lone Wor­ker Tra­cking /index.php?main_page=page&id=18&zenid=cdc74c3..
10. Sto­len Ve­hicle Tra­cking /index.php?main_page=page&id=21&zenid=cdc74c3.. The web server with the IP-address 213.229.68.170 used by Comparevehicletracking.org.uk is run by Poundhost customer server and is located in Great Britain. 11 other websites are located on this web server. Most of them are provided in the english language. The websites of Comparevehicletracking.org.uk are hosted by a Apache server and were developed in the programming language PHP. The markup language of the website is XHTML 1.0 Transitional. The website does not specify details about the inclusion of its content in search engines. For this reason the content will be included by search engines.